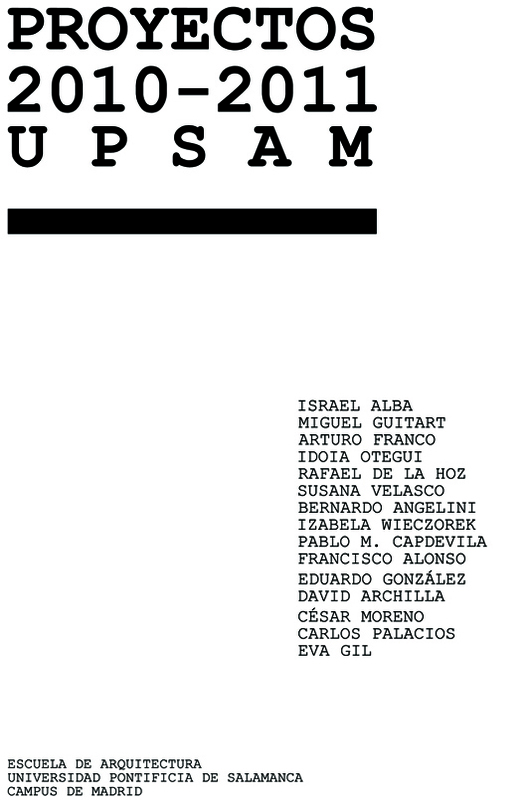 The presentation of the latest 2010-2011 academic course UPSAM Studio Design publication will take place at the School of Architecture of the Universidad Pontificia de Salamanca Madrid Campus on January 9th. The issue comprises theoretical texts as well as studio works developed at the different workshops by professors and students. The publishing has been coordinated by Prof. Miguel Guitart and Prof. Israel Alba, and edited by UPSA and Fundación Pablo VI.